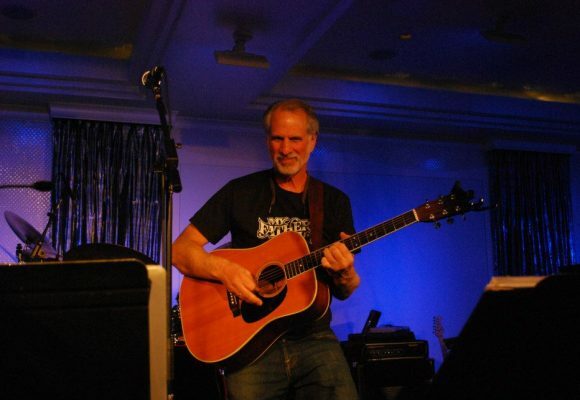 Jerry DeMeo is a guitarist singer songwriter who hails from Huntington, New York. He draws his guitar playing influences from a number of sources, including the acoustic stylings of Stephen Stills, Leo Kottke and Jorma Kaukonen, and more recently, Mark Knopfler and Tommy Emmanuel. Jerry’s warm and expressive voice continually wins audience approval, as he performs a wide and diverse selection of originals and classics, each marked with his personal imprint. He has been writing and playing his original material for many years, and his long awaited debut album, “Headin’ East Headin’ West”, has been released and is widely available.